Tag Archives for " Duct Tape Growth "
No matter how you plan to grow your business content has become the entry point and catalyst for effective growth in most every channel. 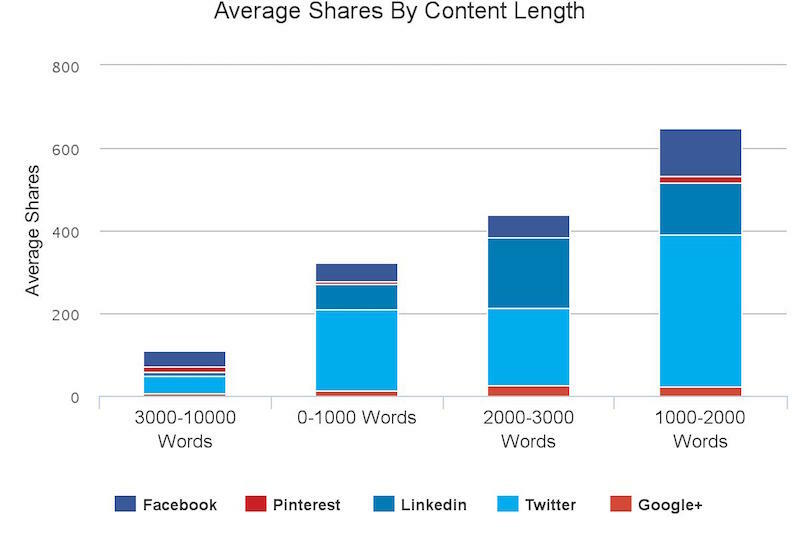 No, content is no longer king – that’s so last decade, but more on that in a bit. I’ve been writing a great deal about growth of late because I’ve become fascinated with the struggle it presents. One of my core beliefs about growth is that it comes from doing less instead of more. Terms like social media marketing, influencer marketing, content marketing and search engine marketing entered the marketing conversation in the last decade. While this may seem to present a golden opportunity for some businesses, it has created frustration for others. It is simply impossible to effectively create a meaningful presence everywhere and attempting to do so creates so much fragmentation that the message is often lost completely. For example, many businesses derive a significant percentage of their business through referrals and word of mouth recommendation but have no formal referral program in place. My contention is that business should focus on building multiple referral programs and explore ways to use advertising, strategic partnering and even content to amplify their referral channel – less is more! No matter what growth channels you decide to pursue, content is your ticket to entry. Now, before I go much further let me say that by content I mean, long, deep, dramatic, useful, dare I say epic, educational content. Again, in this regard – less is more. The days of writing 500-word wispy blog posts three times a week are over. They certainly served a purpose four or five years ago (hello SEO) but no longer. Your approach to content as an asset still needs to be based on an editorial calendar that serves your business, but creating that plan is even easier if you start to think about ways to use your content for multiple channels. When we work with businesses today content development is the place we must start. There’s little hope in expanding the reach of a business without a substantial content asset to draw from. There are few channels that don’t run on content. Let me give you an example of how this could play out. Let’s say you commit to 12 epic blog posts per year – something in the 1500-2000 word range with lots of deep useful advice, some nice design elements, maybe a dash of data and even a bit of drama. Now, let’s make this content pay. Let’s say one of your posts describes the sixteen most awesome ways to do X. It’s long and it’s meaty and people devour it, but you know what would be cool – if you added a one-page checklist with all sixteen points. Wow, people are actually opting-in at a pretty high rate, why don’t we see what happens if we buy some targeted Facebook ads to drive some cold traffic to the post. All of a sudden content is making our advertising pay off. If all these new people are going to opt-in we should make sure that our email follow-up directs them to last month’s epic post so they begin to realize how glad they are that they know us. Now, let’s amp things up a bit. Our blog post on the sixteen most awesome ways to do X would actually make a nice presentation. We could simply promote it to our audience and hold a webinar, but why not reach out to some potential strategic partners and offer to do it free of charge for their audience instead. This is a great way to extend the reach of your content, but more than that it’s a great way to get referred by a trusted source and potentially meet some very qualified prospects. The key to making channels pay is a commitment to producing the most useful content possible. Much has been written about the need for great content, but I believe it’s more than king or queen, it’s more than a channel, it’s air – we need it survive. It is the catalyst and enabler for every other channel we use for growth. This isn’t a call to write more, better content – it’s a suggestion that you must change your view of what content has become and what it must mean to your ability to grow. 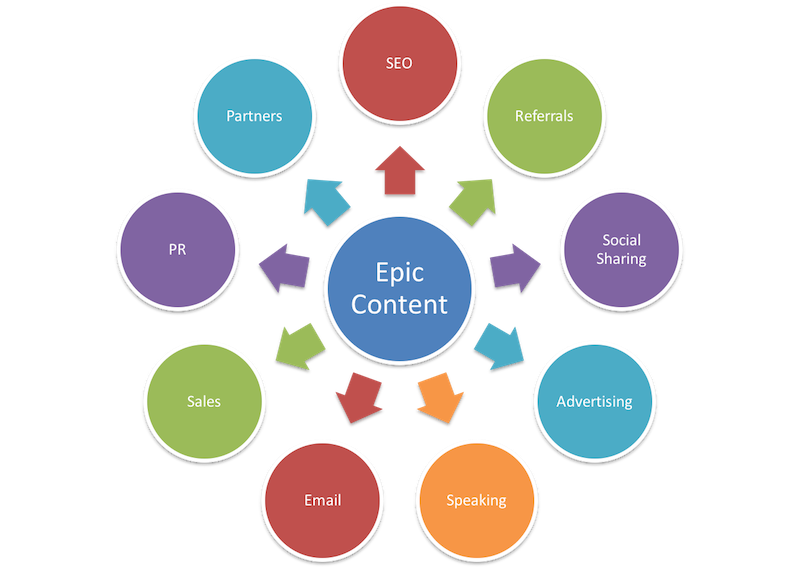 Put epic content at the center of your marketing efforts – do less, but do better – and you’ll find that you have far greater opportunities to expand in every direction. If you liked this post, check out our Guide to Content Marketing for Small Business or our Small Business Guide to Advertising. This post applies to business and life I think – so use it as you will. 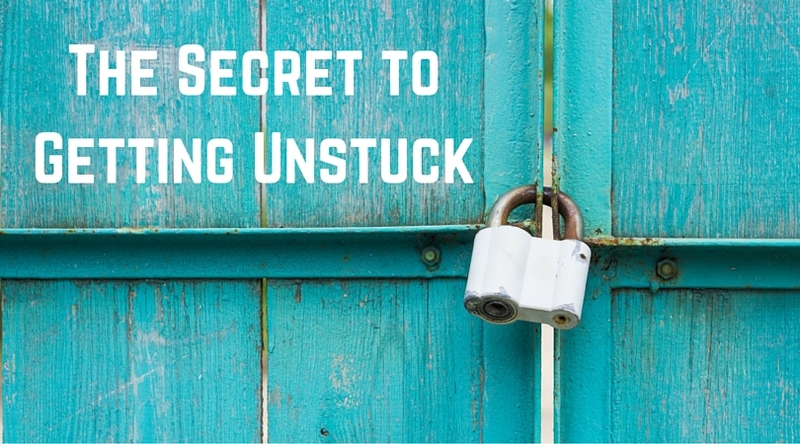 Lately, I’ve been writing and thinking a lot about growth and the need to focus in order to do so, and I think I’ve unlocked or at least begun to understand that the secret to getting unstuck does involve focus but more than that it involves what I’m going call optimization. It’s not enough to just choose a narrow focus you’ve also got to choose an objective for that focus – you have to create what and why. Now I know there’s been plenty written of late on purpose in business and choosing the “why” you do what you do. Heck, I’ve contributed to that chatter myself, but there’s always been something sort unpractical about that entire conversation. Sure, I do want to save the world and the whales, but sometimes I have trouble aligning that with what I do day to day. So, here’s what I want to put out to the world of business that I don’t think is talked about enough. To feel fully focused and alive in your business, I believe you have to decide just what you are optimizing your business for and then go about staying on that path in everything you do. I believe there are essentially five things you can optimize your business for, and each of these things suggests that you must adopt a certain point of view about your role in the business. Profit – A business or life optimized for profit means you must make decisions that are more about helping others get what they want rather than building a large following or name for yourself. Have you ever noticed that some of the most profitable businesses are ones you’ve never heard of. That’s because they are busy making products that help other get famous or, at least, live their dream. These businesses are led by people who like to make others shine. That’s why I think the conversation around profit being something bad is so misguided. Sure, there are people who profit at the expense of others, but that’s not the profit optimization I’m talking about. Here’s the tough thing about this one for many business owners – you usually have to get good at giving others credit. Lifestyle – Today there are countless individuals starting “lifestyle” businesses. That’ the dream, right? Four-hour workweek anyone? There’s no question that there are people living the dream, traveling the world, leading and running causes under the banner of a lifestyle business, but they’ve made choices. They’ve optimized their life, their living situation, and their expectations for what work looks like to fit this choice. Legacy – Building something that lives on after you let go is certainly a driving force for many. I’m not sure too many businesses get started this way but plenty evolve to this place. Again, this objective involves choice making. Legacy businesses have to invest in building assets and creating endowable innovations and earnings. This might mean making hard choices about both investments and short-term gains. Growth – Pure growth firms are today quite often associated with the tech startup scene, but it’s just a mindset. A firm that chooses growth and scale must constantly experiment, measure, analyze, and gamble to some degree on rapid change. This can be exciting, gut-wrenching, lifestyle altering and very, very profitable if you win, but it’s not for everyone. Authority – We’ve seen a surge in authority building over the last five years as many early social media adopters became authorities in a space that rewarded people for engagement, but perhaps not so much for ROI. To some degree, the authority business is a choice that involves a fair amount of ego to sustain. It’s a beast that isn’t ever satiated, so it requires constant innovation, platform and point of view. Now, I’m not suggesting that any of the paths above is right or wrong or that one is more suited for someone who does or does not want to get rich. There are countless examples of highly profitable businesses whose owners enjoy an incredible lifestyle many industry authorities who have become incredibly wealthy due in part to their status. Okay – after about 900 words I’m going to give you the real point of the post – in order to thrive in business I believe you must choose to focus on one and only one way to optimize your business and make every decision for how you spend your time, how you market your business, how you build what you build, based on that one thing. So, a business that chooses profit must be able to build a culture where credit is given to others, where service is about helping others get what they want, where staff, partners and customers are the focus of business decisions. Far too many business owners say they want to build a highly profitable business and then spend a great deal of their time worrying about their Klout score of some other measure mostly useless in the pursuit of profit. Others claim that a lifestyle business is their dream, but then they never really get around to creating product v.001 so they find out what’s it like to check your PayPal account from a cabin in the woods. Look, I get, this stuff is hard, so my intent here is to simply acknowledge that most of the stuckness you might be feeling is self-inflicted and until you realize that you can’t optimize your business for everything the sooner you’ll find focus, make decisions that are true for you, and perhaps for the first time in a long time, start to understand why you do what you do. Now, ask this question over and over again – What would a [profit or growth or authority] business do? The thing is once you commit to this you can start to determine that only thing that matters our business is X – and then you can start to let go of so many of the things you or someone else has convinced you are important. I know that this is a much bigger topic than that space of one blog post can fully unpack, but just for today – consider what you need to optimize for and start doing it. Leads are the lifeblood of every business. Clients are actually the lifeblood, however, without leads there are no clients, but that’s a topic for another post. Today I want to focus on how you get enough appointments, phone calls and contacts to grow your business in a systematic manner. 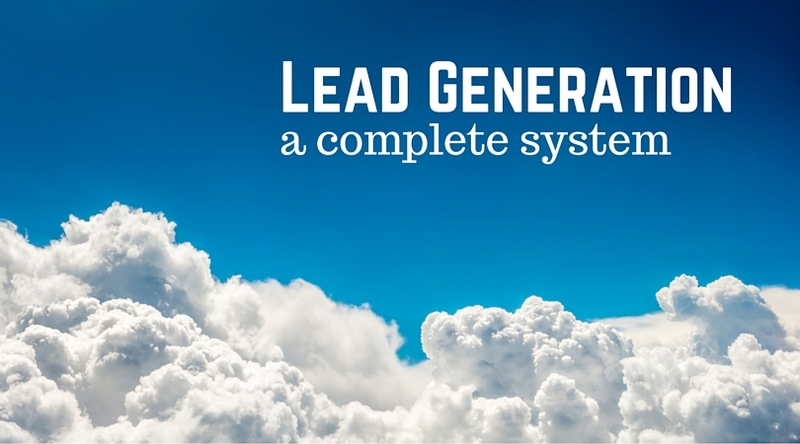 Lead generation is essentially a game of channels more than tactics. Meaning you need to find the right mix of channels that allow you to profitably attract a high enough number of leads over and over again in order to feed your growth objectives. You don’t simply assemble a few tactics; you master a few channels. A channel for lead generation purposes is simply a broad way to gain access to your prospective audience – so referral generation is a channel, sales is a channel, SEO is a channel, and speaking is a channel – and there are countless ways to master every channel. The real job for any business, depending upon where they are in terms of their growth goals, is to get very, very good at getting clients in just a few of these channels. Trying to master or even dabble in them all is the fastest way to get stuck in the idea of the week rut. Here’s quick rundown of the various channels to choose from. So the first trick is to look at your business today and determine your most effective channel currently. While this might seem like a simple thing there can be variables that make it tougher than it might appear. For example, if you convert all of your leads via personal sales calls, it might be tempting to say that sales is your most important channel. But, if all of those appointments come about because people find your website when they search, then SEO or content might actually be your most effective channels currently. Conversely, many businesses land a significant portion of their business by way of referral, but don’t even consider it a lead channel in the marketing mix. The reason this idea is so important is due to something I’ve been calling channel leverage. The power behind channel leverage is simple – it’s far easier to generate even more leads in a channel that’s already proven effective than it is to jump in and explore new channels. So this would suggest that once you find a channel like referral generation that’s driving leads you should expend a great deal of energy finding more and more ways to leverage this channel rather than simply accepting that you are receiving all the leads you can. This applies to cross-channel leverage as well. So, if referral generation is your greatest lead channel then you should consider tactics in other channels like content, speaking or public relations as ways to enhance your referral generation channel. For example – creating content that makes it easier for your strategic partners to introduce and refer you is a great way to use content marketing to further leverage your referral success. Creating a free workshop and reaching out to groups that need speakers is a great way to think about using speaking as a way to have groups refer you. Promoting your referral program that supports local non-profits is a great way to use PR to enhance your referral program. Each of these tactics could be considered fairly commonplace as stand-alone promotional initiatives, but with a channel leverage mindset, they make up an integrated playbook of cross-channel support – more like multipliers than add-ons. Below are three fully developed lead generation playbooks that could easily apply as significant channels for, say, a consulting business. As you read through each and glean ideas to apply to your lead generation, think about how much powerful these three approaches could be when you think about how well they could work together. A lot of folks dream of being a sought after, highly paid speaker (some people wet themselves at the thought of it as well.) But, in this education based marketing environment we find ourselves in today, speaking for leads may be the best approach ever. You are a highly sought after speaker willing to waive your fee only if they permit you to elegantly reveal that there is a way for attendees to acquire your products and services and that you will also be offering some free stuff in exchange for contact information of those interested in the free stuff. Make it known that you have no intention of selling, merely informing. This approach raises the value of your presentation and gets you what you need as a lead generation opportunity. This can be a deal breaker for you or the sponsor. If you over promote, don’t expect to get asked back, if they won’t allow you to acquire leads, don’t bother. Don’t be afraid to give away all of your secrets. Some folks suggest you should just tell them what they need, but not how to get it done. I don’t agree. If you tell them how some may think they can do it themselves, but those who want what you have will realize through your specific details, how tos, and examples that you do indeed possess the knowledge and tools to help them get what they want. Educate and you won’t have to sell! In some cases people will rush up to you after a thought provoking presentation and ask how they can buy, but, in case they don’t, make sure you give all attendees a valuable reason to share their contact information for the purpose of follow-up. You can offer them the slides to your presentation, a free resource guide related to your topic, or a more detailed report based on the topic, in exchange for business cards. If you don’t have this preplanned, you’ll find you won’t get a second chance to wow these folks. Of course, I hope it goes without saying that you should also have a follow-up process. Write a hand-written note, add them to a pre-written drip email campaign on the topic, or call them up after the event to measure their engagement. When I first started speaking in the manner I’ve described here, I would pour my heart out, mindful of not selling, and then come to the end and there would be this awkward moment when I knew people wanted to buy something, but I didn’t have an offer. Well, I quickly learned that didn’t serve either of us very well. If you provide great information and a clear road map to solve someone’s problems, you’ll often find them wanting you to reveal how they could take the next step. But here’s the key – in that environment, they want a deal for acting right now. Not every audience or speaking engagement will present this opportunity, but I’ve found that in a straight free speaking gig, where I’ve been given permission to introduce my products and services, this 3-step approach is well received. One of the most overlooked sources of leads for any business is the rich pool of non-competing businesses that serve the same target market. Identifying a group of “best of class” providers in your market and finding ways to gain access to their customer base is one of the quickest ways to flood your business with new opportunities. Many businesses get this idea, and some even actively strike up the occasional strategic partner deal or lead swapping campaign, but few tap this approach to the full extent. For the right business, a strategy devised to make your business irresistible to potential strategic partners may indeed produce that greatest ROI of any marketing activity. The key to building a powerful referral network is to adopt the proper point of view—in this case, the point of view of your customer. As you identify and recruit members to be part of your team, you should always filter your list based on this question: “Would I feel 100 percent confident referring my best customer to this business?” If a potential strategic or referral partner can’t pass that test, then don’t even consider entering into a referral relationship. If you adopt that mind-set you will never attempt to add a referral partner based simply on what you think they can do for you—and that distinction is huge. If you always ask yourself what a potential relationship might mean for your customer, you will most likely stay on the right track. One of the most powerful things you can do to increase your value in the eyes of your customers is to become a wealth of information and resources related to all of your customer’s needs, even if they may be unrelated to what you sell or provide. If you or your business can become known as the go-to provider for any need under the sun, you can develop a very important place in the mind of your customer. Below is a systematic approach for doing just that. The first step is to identify the partners you would like to attract. You may be able to find some of these potential matches from your own experience and research, but your customers can also be a great source of suggestions. Ask them about other businesses they like doing business with. Think in terms of building an entire team of first-rate providers as though you were going to go to your best customers with a suggested list of partners for every need they have. Now that you have your initial list of candidates, it’s time to reach out and introduce yourself and your idea for partnering. This is an important step and one that many get wrong. Instead of simply cold calling these prospects and suggesting you could work together, (a step that others are probably pitching them) reach out and ask them to show you the best way to introduce them to your customers. If you are recruiting potential partners that your clients recommended make the common connection between your shared customers a starting point. When you make this type of invitation you get their attention in a way that is potentially beneficial to them and that will make all the difference in helping you stand out. The Perfect Introduction is a tool that we use as a way to properly educate referral sources. It gives the referral source a clear picture of the ideal target client, a way to communicate what you do and the comfort of knowing how you work with prospects. This is something that we have most of our clients (especially professional service providers) complete and use in their own business as part of their referral lead generation process. The Perfect Introduction in Reverse uses this tool as a way to recruit referral network partners. It is a very low-key way to find good referral sources, introduce your business in a creative manner. Here’s why this works. You won’t simply try to introduce your business to this potential partner – you are going to do a reverse introduction. In other words, you are going to reach out to them and ask them to introduce their business to you with the idea that you could refer them to your network. This is why it’s so important that no one is on your list unless you are serious about referring business to them. Send the Perfect Intro letter (sample follows), your Perfect Intro and the Blank Perfect Into (sample) to each of the potential sources. Keep track of the phone calls, returned forms and file for later use. If you’ve completed steps one and two as stated above, you should have a handful of potential strategic partners interested in telling you more about their business and open to allowing the same from you. This is the place where your plan is going to really standout. Most potential strategic partnerships fall flat because neither partner takes the initiative to make partnering both easy and logical. Simply sending a letter to all your clients saying you are now partnering with ABC Corp. isn’t going to benefit you, your partners or your customers. If you want to ignite your strategic relationships then come to the table with a winning, prepackaged way for them to immediately benefit while introducing you to their customers. Create content opportunities – Invite your partners to contribute to your newsletter, act as a guest on your podcast or blog. Giving your partners exposure by way of content gets them exposure and you content. Consider taking this up a notch and create a group blog optimized for all of the partners. Co-brand content: Create a valuable report or ebook that provides lots of great information that you know your customers will gobble up. (You should be doing this routinely anyway) Take this field-tested free report and offer it to your partners as a tool they can provide to their customers and prospects. Allow them to co-brand the information and use it freely. They know they should be providing this kind of education to their customers, and now you’ve just made them look good and gotten your name in front of their customers in a logical way. Conduct video interviews – Set a meeting with your partners and use the opportunity to record an introduction video so you can have content to run on your website letting the world know about your partners. This will show you mean business. Acquire special offers – Get your partners to contribute a product or service that you can use as a way to enhance your offering. Free business cards for every logo purchased or free flowers when you make a reservation for dinner, free tickets to give away in your marketing, or free HVAC check-up when you get some plumbing work. This is a great way to promote your partners while adding real appeal to what your marketing. Make sure you create real perceived value here. Make referrals – Make it a habit to consciously go out of your way to refer business to your partners. Don’t wait for people to ask, do it as part of your Monday routine. This is how you become someone that lots of great providers want to partner with, but you also increase your value to your customers by consistently helping get what they need in every aspect of their life. Rate and review – If at all possible become of a customer of every one of your partners. This will make you a much more authentic referral sources (as a user) and allow you to test and filter the truly great experiences. Follow-up on this by actively writing reviews and ratings on Yelp and other online sites. Create events – Figure out how to bring your partners together to network and create deeper engagement. Let each partner have a day where they educate everyone in the network. Create workshops and offer to conduct them for your partner’s customers. Develop a day devoted to topics that your partners can present useful information on and have everyone promote the event. The win-win workshop: Take your same valuable information from the above example and turn it into a workshop. Now you can go to your partners and offer to provide this workshop, either in person or online, free of charge to their customers. No selling, just great information. Now, if you want to really get them excited, go to two potential partners and suggest they cohost the free workshop. This way they not only get to provide great information to their customers, but they also get to meet and mingle with some potential prospects from the other partner’s business. The last step is to find ways to promote your partners and make them glad they got on board with your program. Create opportunities for them to meet your customers, teach them how to create and promote content, provide a blog for all your partners and allow them to contribute posts related to their field, conduct video interviews and tours of their businesses and run these on your site, put together events and allow them to present and invite guests. When you take this platform approach to partnering you go from being a nice idea they may get around to some day to an irresistible marketing partner they can’t stop raving about. So there you have it – that should keep you busy for a few months! Since you read this far I’m guessing you found some value in this book length post, so I hope you’ll share it with others. Search Engine Optimization is one of the more shapeless marketing terms we get to wrestle with these days. It’s not that people don’t understand SEO, okay maybe it kind of is, it’s that the very nature of SEO seems to shift with each new pronouncement from Google. One thing is eternally clear, however (for today) – showing up, preferably towards the top of page one, when someone with a need goes looking for answer, product, or solution is a determining factor in the success and growth of just about every business. In fact, SEO has in my view risen from the ranks of technical tactic to the status of full blow marketing and growth channel. Today, it’s important to consider SEO as an option in parallel with other established lead channels such as Public Relations, Advertising, and Referral Generation. However, as we make this consideration, it’s not enough to simply decide to add SEO practices to the mix, you must also consider when, where and how SEO can deliver the greatest impact. In that regard it is most certainly not a one size fits all bag of tricks. SEO for growth is as much about strategy and mindset as it is about technical wizardry. And, it’s about hierarchy and patience and consistency. You can’t achieve the greatest results possible without laying a firm foundation and integration SEO practices with social media and content – it’s all connected. To get the most from any SEO practice it’s essential that you understand the context in which SEO can most effectively be employed. In the traction stage, you’re still trying to find that perfect match of ideal customer and market message. Your product or service is likely evolving, and it’s a pretty good bet that you don’t have sufficient content or domain authority to easily rank your content no matter how much optimization you perform. That’s your job at this stage. Create your editorial calendar and go to work on creating, at least, one piece of epic content per week. I know, a term like epic content is both worthless and scary sounding, but know this – the days of thinly written, 500-word restatement of the obvious ranking for your precious keywords are over. Take a look at the analysis of my content below from BuzzSumo and note the dramatic increase in average number of shares for longer form content. The good news is that if you create truly useful content, you can start to use it in your lead capture and lead conversion efforts even as you begin to impact organic traffic numbers. In the expansion stage, you’ve likely found some things that work. Your value proposition is getting easier to explain, and your content efforts are starting to pay dividends. The primary tool for expansion SEO is link building. Here again, I’ve used another one of those scary SEO tools. Link building in the traditional old school SEO way of thinking was all about amassing links from pretty much anywhere as a way to show good old Google that lots of people liked your content. Today, link building has a lot more in common with networking and the quality of your backlinks is more important than the quantity. Once again, content plays a role. One of the best ways to acquire high-quality, relevant backlinks is to take your epic content and start offering it to others. In some ways, this could be great advice for someone just getting started, but I do think you need some of your best content on your site. Researching and finding places that accept guest posts is a great place to start. Don’t forget high authority local sites like Chambers of Commerce, Industry Organizations, and local government training sites. Obviously, you want high domain authority sites to accept your content but start small and work your way up. Tools like Pitchbox, Social Bloom, and BuzzSumo can help you locate relevant sites that accept guest content. The conversion stage is, of course, where the money is. During this stage, you want to take advantage of your content and link building efforts and start leveraging the assets you are building. During this stage, the term Domain Authority will start to get very interesting. Domain Authority is the term used by SEO folks to give a point value to the ranking factors behind any domain. There are countless elements that go into constructing this algorithm, but suffice it to say if you can achieve a domain authority even approaching 50 on a scale of 100, you will have established a marketing asset that is likely to serve your business for many years. Here’s a good description of Domain Authority from MOZ. Since domain authority is made up of many variables, it is extremely hard to influence unnaturally and for that reason, a link from a DA 60 site is far better than one from DA 10. You can discover your domain authority and that of pretty much any site you like using the MOZ Opensite Explorer or a tool like Monitor Backlinks. 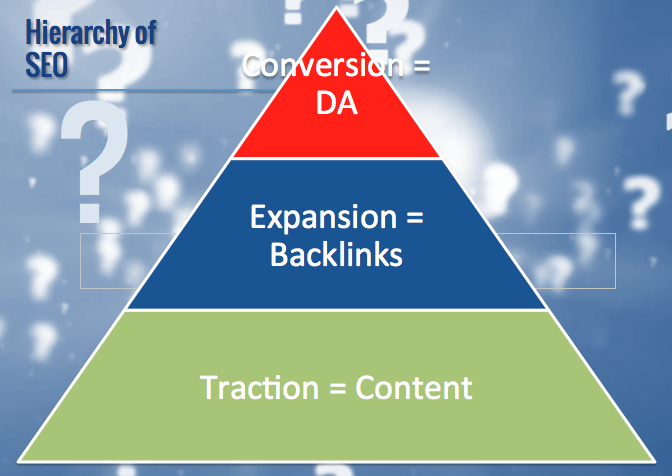 One of the most important ways to impact our DA is to acquire links from sites with higher DA. Now that you have a solid foundation of content and have established yourself as a reliable guest blog contributor, you can begin to run campaigns targeted to a list of higher DA sites. Don’t forget that most magazines and high traffic publishing websites are looking for content, and you might be surprised how easy it is to get a guest spot or even regular contributing gig for a high profile online site. This is also the stage where you should think about your place to invite guest contributors to your site. You can usually find individuals that already publish on other sites using a tool like BuzzSumo. In many cases these guest contributors are also more than happy to promote the fact that they are published on your site, leading to more social shares and possibly even links. Don’t forget to mine your social networks for potential contributors as well as any local strategic partners. You know, your banker, lawyer, and accountant might think it’s awesome that you invited them to share their thoughts on your blog. Now, the reason I call this the conversion phase of SEO is that once you start receiving traffic, you go to work on making that traffic pay – that is the point, let’s not forget. One highly indexed, shared, and linked to blog post can turn into a lead generation gold mine with a few simple conversion tactics. Take the time to learn about building Facebook Audiences and you’ll discover that you can effectively “pixel” visitors to your one or two winning posts so you can continue to market to them on Facebook or even build what Facebook calls “lookalike” audiences so you can expand to reach an even wider net to drive to your site. Of course, once you start getting traffic to certain posts, even one or two, you have the foundation to build content upgrades that allow you to capture highly targeted leads by offering a video or checklist to accompany the post in exchange for an email. Since you’ve read this far, you might be thinking that I’m not even talking about SEO at this point – and that is precisely the point. You can’t have an effective SEO approach without understanding how to integrate your SEO channel with your overall approach to marketing and growth. John Jantsch is the co-author of SEO for Growth – The Ultimate Guide for Marketers, Web Designers, and Entrepreneurs. And soon enough you’ll find yourself in your lab designing marketing experiments aimed and tackling new channels and entirely new ways to generate clients. That my friends is how scale happens. 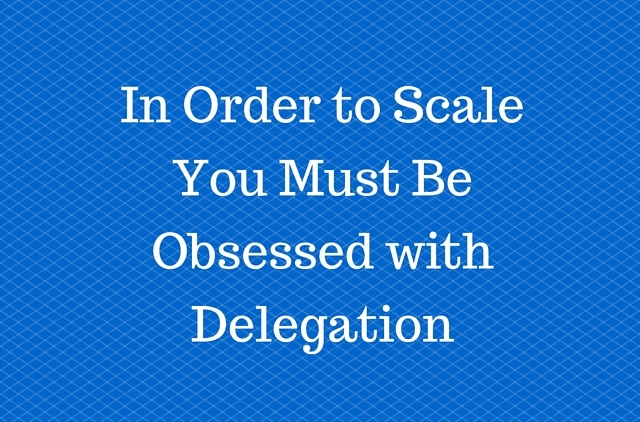 Sure, there are two hundred and seventy-three million steps in between, but it starts with this mindset – how can you get someone else to do everything that needs to be done.